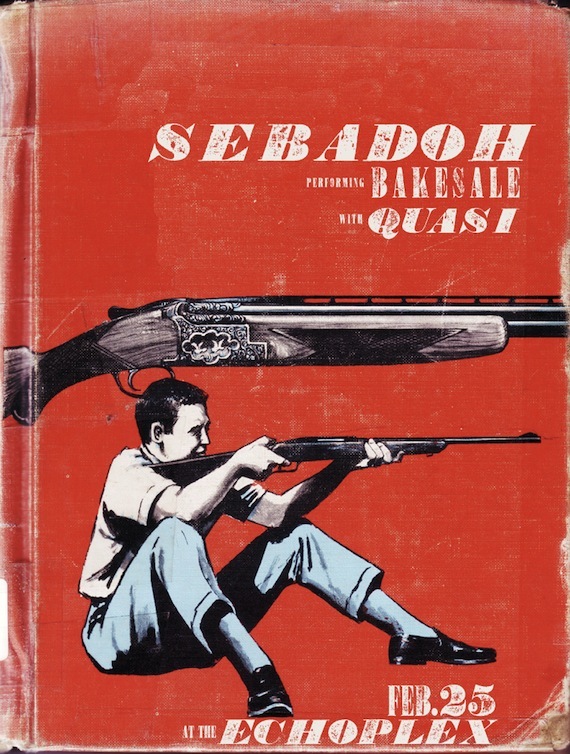 Next Friday at the Echoplex, February 25th, Aquarium Drunkard presents Sebadoh performing their 1994 classic Bakesale in its entirety. We have several pairs of tickets for ya’ll. To land a pair leave a note below with your favorite Bakesale jam, your name and an email we can contact you with per tickets. Winners chosen at random—tickets held at will-call. Probably Skull, but I’ll take “Not too Amused” for twenty, Alex. Seriously, AD, this is one of my all time favorite albums. JP and I sooooo want to go. Puretty Puhleeze. All of them! I love that album. “together or alone,” with “dreams” a close second. Rebound! Maybe License to Confuse next. My dear friend Courtney told me of this joyous occasion. Bakesale was an amazing ‘time in our life’ album for us. “Skull” was a favorite because we all lived in Boston near Lou and he was talking about the racing skulls of the local universities. Awesome! PLZ PLZ PLZ PLZ PLZ PLZ PLZ PLZ PLZ PLZ! This is going to go down in history. Though I know its Loubie’s band and all, by far my favorite track on the album was the Lowenstein penned ‘Careful’. That song rocks balls! magnet’s coil, especially the version with lou barlow and bob mould from 120 minutes. This is a dream show. I’d love to go on behalf of AD. Give Up / Rebound pack a one-two punch like no other.